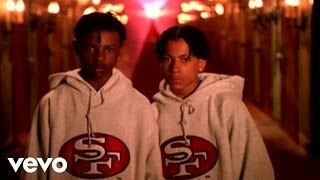 Oct 25, 2009 · Music video by Kris Kross performing I Missed The Bus. (C) 1992 SONY BMG MUSIC ENTERTAINMENT. Lyrics to 'I Missed The Bus' by Kriss Kross. ... [Kris Kross] I missed the bus.. I missed the bus.. I missed the bus.. I missed the bus..
"I Missed the Bus" was the third single released by Kris Kross from their album, Totally Krossed Out. Lyrics to I Missed The Bus by Kris Kross: [Kris Kross] / I missed the bus.. I missed the bus.. / I missed the bus.. I missed the bus..
Watch I Missed The Bus by Kris Kross online at vevo.com. Discover the latest Pop music videos by Kris Kross on Vevo. Watch the I Missed The Bus video below in all its glory and check out the lyrics section if you like to learn the words or just want to sing along.